When one thinks of spectacular Fall Color, one may think of the New England States with their yellow orange and brown leafed trees and shrubs painting the landscape! Yet in California we have the yellow to blood-red vineyards as well as the Yellow Quacking Aspen of the Sierra. 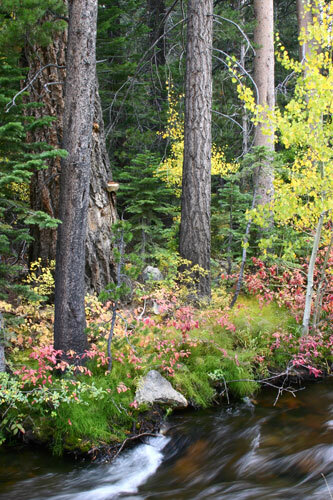 Through Spring and Summer these Aspens have green leaves and ghostly white trunks, almost invisible. Yet in the Fall, they put on a spectacular show. Every crevice seems to be painted yellow with the Aspen. Truly a phenomenal experience hunting and photographing these awesome colors. This must indeed be where the true California Gold is! This annual adventure is indeed like a hunt. Allot of research is put into finding the optimal moment to pack-up and head for the Gold! Web-cams and Internet research for just the right time! When these colors peak, one may just have a few days to capture the color. A good late Fall storm will fell the yellow leaves and render the Aspens barren! 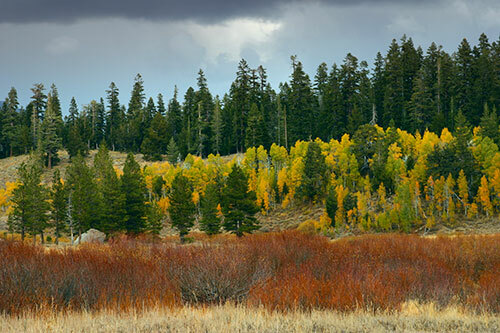 These images are all shot from Silver Lake to Lundy Canyon, or from Carson Pass to Mono Lake. Enjoy my images taken over several visits!